When I chatted with Alexia Avina last spring she credited her tonal softness to her love of ambient music. 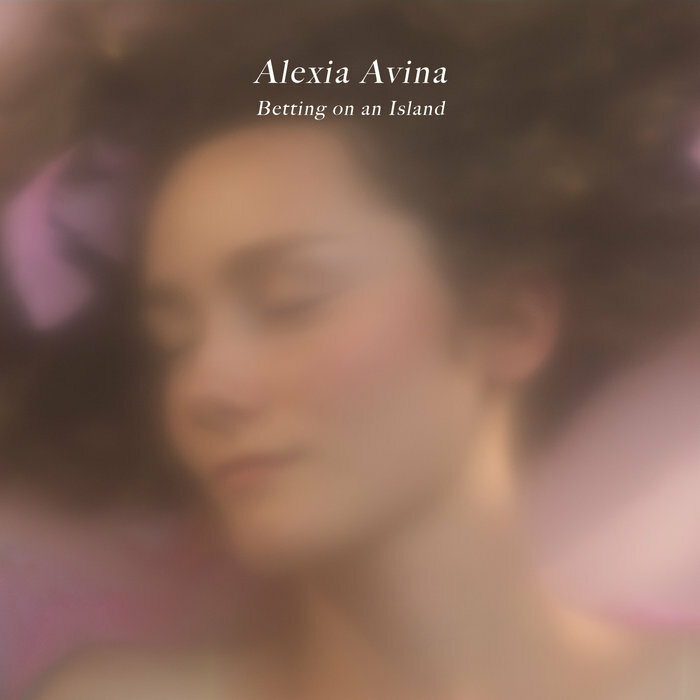 This softness that fills Avina’s EPs is carried forward to her debut album Betting on an Island. Avina’s words are plushly wrapped in intricately arranged gentle sighs, strums, plucks and beats. It is a velvety reverie and the sonic equivalent to a Soft Landscapes tweet. The album title Betting on an Island is a lot to unpack. In his poem “No Man is an Island,” John Donne objects the idea that we are ever really alone: “no man is an island entire of itself; every man is a piece of the continent, a part of the main.” But a moody Paul Simon in the Simon & Garfunkel song “I Am A Rock” calls himself an island: “I have no need of friendship, friendship causes pain, it’s laughter and it’s loving I disdain. I am a rock, I am an island.” Avina contends with an island in her life and tries to give them the benefit of the doubt. But it seems like she wants this island to see things more like Donne rather than Simon. Grasping at an absentee person comes up often on Betting on an Island. On “Song 36,” Avina tenderly asks, “Would you comb my hair slowly? Blow it dry?” and on “X” she admits, “I’m not ready to be lonely.” But in these and every instance, Avina’s struggles are not harsh but rather soothing moments of contemplation. A few extra-nice sonic moments: The rhythmic ups and downs, anchored by a crumbling electronic beat, on “Glove” reminds me of that childhood rhyme Johnny, Woops; the standout track “Bird,” purposefully builds from a slow and simple ukulele line to a poppy explosion of sounds like following the take off and flight path of a corvid soaring above a cityscape; The way Avina repeats the line “hold me, I’ve been waiting” in “X” weaves its own blanket that wraps around you. And in such harsh times, it’s nice to be held softly.